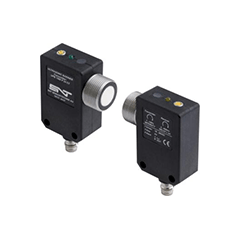 Ultrasonic sensors use time of flight of sound in air to sense objects and to measure distance. Compared to other measuring principles ultrasound is very robust. It works well in dirty environments and sound waves are reflected by almost all surfaces, rendering this technique insensitive to material, colour and surface structure of the detection target. 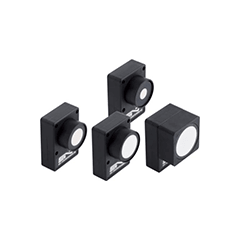 new SONARANGE® transducers working at high electrical voltages, allowing small, moving and poorly reflecting objects to be safely detected. 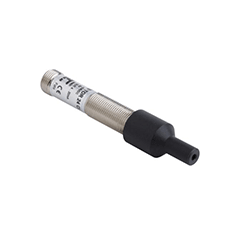 In addition the sensors can operate in highly contaminated environments. 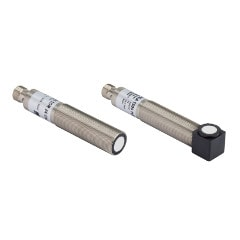 With a length of < 40mm these compact sensors have an extremely high measuring range. 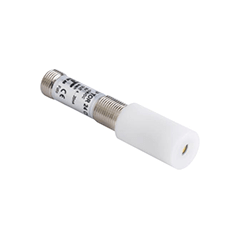 The compact UPR-A ultrasonic sensors are characterised by a wide measurement range of 1.5m. These sensors are configurable via a "teach in" function. 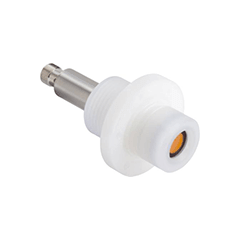 Three different detection beam sizes can be set by the user, allowing the sensor to be adapted to the application. 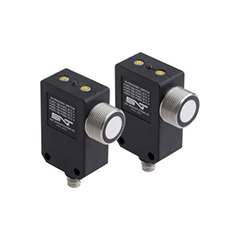 The compact UPR-B ultrasonic sensors have a wide measurement range adjustable between 100mm to 1000mm. These sensors are configurable via a "teach in" function. 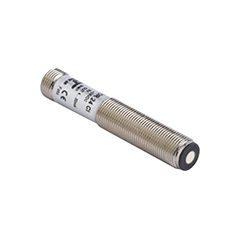 The UPR-B sensor features sealing that renders them impervious to many environmental influences. 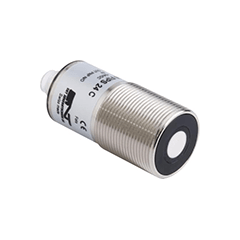 They are particularly resistant to oil, unlike many other ultrasonic sensors. harsh environments. The chemical resistance is based on the use of PVDF & PTFE materials on exposed areas. 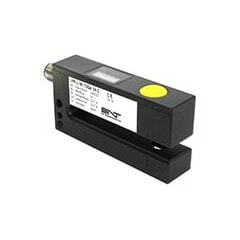 This adaptation of the UPS ultrasonic sensor has a very narrow focus beam suitable for measurements where the detection region is very small. 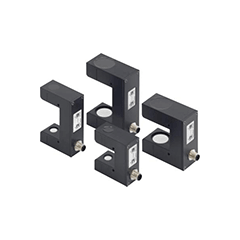 The UPF-A are ultrasonic through-beam sensors with separate transmitters and receivers. They are suited to edge detection on web guiding systems. 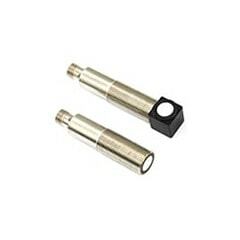 In contrast to conventional barriers, they give an analogue signal proportional to the degree of covering of the ultrasonic receiver rather than an on/off output. A fully covered receiver gives an output of 0V, a fully uncovered receiver gives an output of 10V (or vice versa, the signal can be inverted). 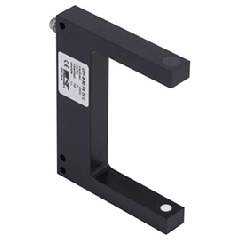 Ultrasonic fork barriers have a transmitter and a receiver, each mounted on one side of the fork housing. The transmitter	beam is focused on the receiver. When the beam is interrupted by the object to be detected the receiver output changes state. The output signal can be set to NO or NC. The UPF-L ultrasonic label sensor detects very thin and transparent film labels yet also offers enough space for thicker, folded labels. A clear operating menu with integrated display enables intuitive adjustment of the sensor functions without the aid of an operating manual. The ultrasonic technology with SONARANGE transducers is superior to optical and capacitive sensors when sensing	transparent label material. In addition to label detection, the UPF-L is suitable for edge detection or the detection of small holes or perforations.